Mark the date — the Susitna River drainage north of Anchorage, Alaska opens to bait and scent fishing on Friday July 14, 2017. Because of low king salmon numbers the entire Susitna River drainage was closed to king salmon fishing on July 3, and bait fishing had been restricted in the Deshka River (a Susitna River tributary) starting June 23. Those emergency regulations run through July 13. The next day (July 14) management of the Susitna River drainage switches primarily from king salmon management to management for the other four species of Pacific salmon migrating up the river. By July 14 pink and chum salmon should be available in greatest numbers with some early arriving silver (coho) salmon and sockeye salmon as well. 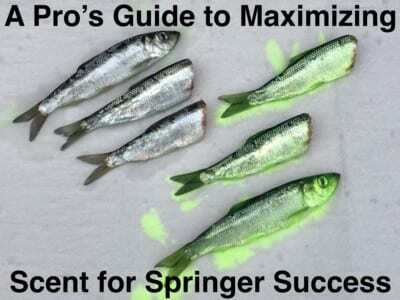 While all four of these species can be taken at times on bait, early arriving coho salmon and chum salmon seem to have the greatest love for bait/scent. Since bait /scent fishing will have been closed throughout the entire drainage for three weeks those salmon present should show an unusually strong attraction to it for the first few days of the fishery. In other words, if you can find the silvers or chums you should catch some! My bait of choice is always salmon roe cured with Pautzke’s Fire Cure. 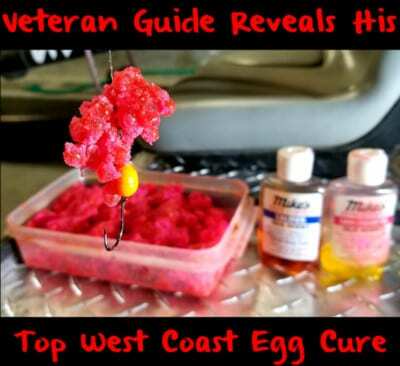 After using this cure, the now krill infused roe seems to have an even greater attraction for Susitna River salmon. 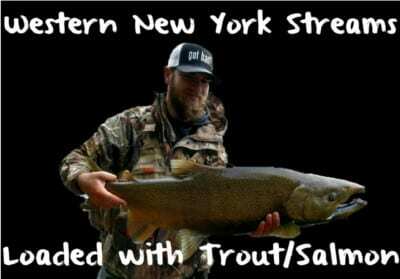 My favorite method for catching these prime early-season fish is to drift a gob of salmon roe under an ESB Bobber. When the bobber starts bouncing it is merely a signal to be ready for a real bite. A real bite sinks the bobber out to sight — and hook up success is often enhanced if the angler avoids setting the hook too quickly. 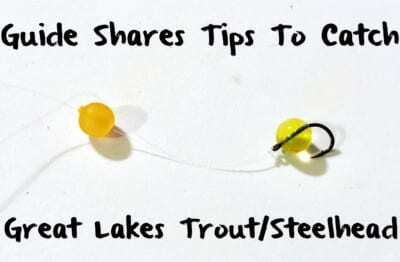 Because a bouncing bobber alerts anglers that something is about to happen, many start their hook set as soon as the bobber starts to sink — or even worse — when the bobber first starts to bounce. A person does not want to wait too long or the salmon may let go of the bait, but waiting a couple seconds after the bobber goes down often works wonders. If the hookup rate is still lower than desired the wait time can be adjusted longer — while if the fish are letting go earlier the wait time may need to be shortened. The bobber and bait combination can work amazingly well even in somewhat turbid water conditions, but if the fish are surfacing and not biting under turbid conditions, it may pay to put on a sinker and fish the bait in a stationary manner. With a stationary bait, silvers in particular, are notorious for nibbling and pecking. If an angler has enough self control and waits long enough, often silvers will finally swallow or start swimming off with the bait. A hook set at this time often results in a well-hooked salmon. On the other hand, if that nibbling and pecking stops for any length of time, I would suggest reeling in and making sure the bait is still there. In addition to bait robbing salmon, the Susitna River drainage is also home to freshwater lingcod, rainbow trout, grayling, Dolly Varden, whitefish, and suckers all of which may take a liking to Fire Cured salmon roe. 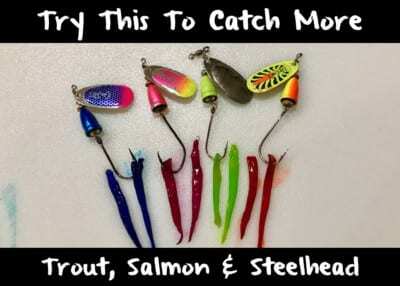 If you keep getting the little bites, but no big takes, or if you keep hooking only small in-river species, it may be time to move on in search of a spot will less bait robbers and more lunker salmon. When fishing the Susitna River drainage on the opening day of bait I’ve sometimes gone to one location and had everyone in the boat catch a limit of ocean-fresh silver salmon from that spot. More frequently I’ve had to hunt and search, with success coming from finding small groups of salmon in multiple locations. Clear tributary stream confluence areas with the Susitna River are always good locations to search for salmon, but early in the season they can be the very best locations around. Most of these fish are just starting their migration, and have likely not pushed upstream very far into the smaller tributaries. Even a small ditch of clear water entering the Susitna River may hold fish and is worth checking out. Early in the season those tributaries located lower in the Susitna River drainage, likewise, have greater abundances of early arriving salmon. Some of the Susitna River drainage tributary streams worth checking out on July 14 include Alexander Creek, Anderson Creek, Fish Creek, Deshka River, Willow Creek (all four mouths), Little Willow Creek, Bull Frog Slough, Kashwitna River, Sheep Creek. If you go —make sure you’ve got the bait.